Final results for Venezuela’s 167-seat National Assembly weren’t known until two days after the polls closed. 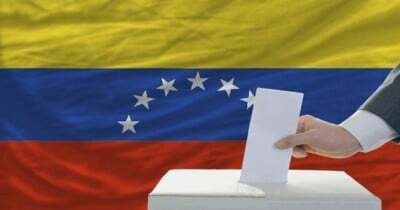 On Tuesday, Venezuela’s National Electoral Council (CNE) reported opposition Democratic Unity Roundtable (MUD) candidates won 107 seats to the ruling socialist coalition Great Patriotic Pole’s (GPP) 55 – a 64.07% to 32.93% majority. Indigenous seats comprise another 1.80% of the 167 legislative body. Two seats remained undecided. CNE announced MUD candidates won them, giving them 109 seats, three short of a crucial super-majority. When new deputies are sworn in on January 5, three independent indigenous members will be swing votes. What they’ll support or oppose is crucial going forward. Venezuela Analysis reported they endorsed MUD’s platform while campaigning. Whether it means they’ll risk compromising constitutionally guaranteed Bolivarian social justice rights remains to be seen. They’re too precious to lose. One of Chavez’s first acts as new Venezuelan president in 1999 was to hold a popularly supported national referendum on whether to convene a National Constituent Assembly to draft a new constitution, embodying his social justice agenda. It passed overwhelmingly – followed three months later by elections to the National Assembly. Chavistas won 95% of the seats. They drafted a historic document – a revolutionary Constitucion de la Republica Bolivariana de Venezuela. It was put to a nationwide referendum vote in December to let Venezuelans decide up or down whether to accept or reject it. Its overwhelming approval changed everything, giving people no say on how they’re governed. Venezuelans have a model participatory social democracy, – including a National Electoral Council (CNE), assuring electoral procedures are scrupulously open, free and fair. All Venezuelans are enfranchised to vote under one national standard. Full participation is encouraged. No one is denied their constitutional right, vastly different from how America operates, disenfranchising millions of its citizens for dubious reasons, rigging things so business as usual always wins. It mandates benefits too important to lose, including free healthcare and education to the highest levels, subsidized food, housing benefits and other social justice provisions. Articles 83 – 85 require state policy “improve the quality of life and common welfare,” – low oil prices taking a heavy toll on its ability to fulfill its obligation to the full extent of its mandate. Here’s what’s at stake for indigenous people and all Venezuelans if MUD has super-majority control. It’ll be able to dismiss Supreme Court justices, appoint their own neoliberal ones. Most important, they’ll be able to enact constitutional changes, ending or gravely compromising Bolivarian social justice provisions – including fundamental indigenous peoples’ rights. Will their representatives risk this outcome by supporting MUD, harming their interests in the process? They hold the balance of power going forward.